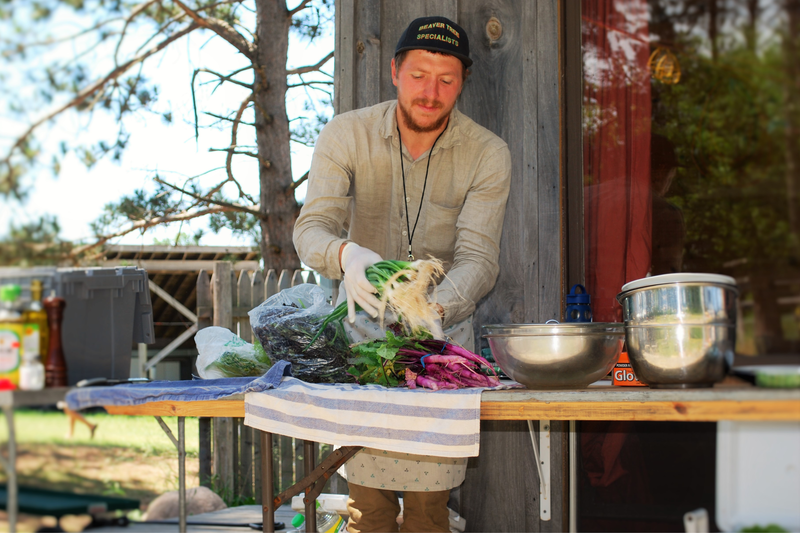 Join one of our accessible, educational, and fun chef or cooking demos and learn how to cook using local, organic ingredients. Chefs will use affordable ingredients to create a dish (or series of dishes) that can be easily replicated in your own home. Chef and cooking demos are free with price of admission. Featuring: Theresa Stabo with the Wisconsin Department of Natural Resources. The waters and woods of Wisconsin are teeming with fish and game. Learn how to create a tasty, healthy meal in your own kitchen by preparing the fish, deer, and pheasant you just harvested in the nearest lake, river, or forest. Friday, June 21, at 10 a.m. at the Forest Stage. 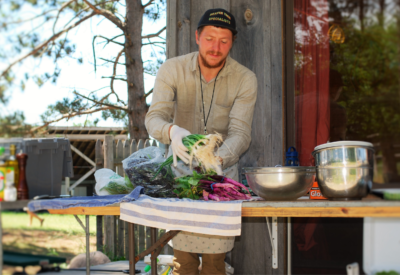 Featuring: Chef Justin Johnson, CEO and founder of Sustainable Kitchens, a scratch food consulting company headquartered in Milwaukee. Justin is a graduate of both LeCordon Bleu, Chicago and the Culinary Institute of America in Hyde Park, NY. Justin has been featured in Food Service Director Magazine, Sizzle Magazine, The National Culinary Review, and The New York Times. Justin will be preparing a one-pot Mediterranean Salmon dish featuring fresh wild caught salmon, local tomatoes and peppers, with olives, capers, and tarragon in a white wine broth. Saturday, June 22, at 10 a.m. at the Forest Stage.